Harris County Commissioners Court unanimously has approved a set of property tax exemptions that will virtually eliminate county property tax bills for thousands of older or disabled homeowners here and greatly reduce tax bills for nearly everyone else. Court members approved an annual extension of the 20 percent exemption for all Harris County homesteads, as well as the $160,000 exemption for homesteads belonging to disabled owners or those 65 years of age or older. When combined, those exemptions guarantee that disabled and senior homeowners pay no Harris County taxes on homesteads assessed at $200,000 or less and greatly discounted tax bills on more expensive homes. The court’s decision again places Harris County among the state’s most generous counties in granting property tax exemptions, especially those for seniors and disabled homeowners. No other surrounding county offers a senior or disabled exemption higher than $100,000, with most at or around $25,000. 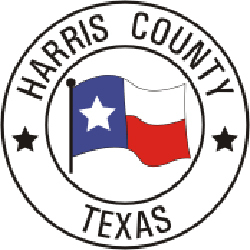 Harris County first approved its $160,000 exemption in 2008, the year after Commissioners Court also approved the county’s largest-ever property tax rate cut. The exemption applies to taxes levied by Harris County, the Harris County Hospital District, Harris County Flood Control District and Port of Houston Authority tax bills.